What was Poker Black Friday? Black Friday Repercussions / Fallout - Casino Answers! “Black Friday” in online poker terms, was a phrase coined for one of, if not the darkest day in online poker. “Black Friday” ended up having wide-reaching repercussions going far beyond online poker, with other online gambling outlets like online casinos, online sports betting and online bingo affected too. What exactly WAS Poker “Black Friday”? Well the short version is this: on April 15, 2011 four online poker rooms had their domains seized by the United States Department of Justice(DOJ) and Homeland Security. And that was what happened on Pokers “Black Friday”. Now, we go to the long version, where we discuss what actually happened to all of the poker rooms affected, and what other repercussions there have been since then. First, you should know that this all basically began back in 2006, with the Unlawful Internet Gambling Enforcement Act. For the back story which eventually led to this, read that. All of the aforementioned poker rooms had their domains seized. While it all began with the UIEGA, it really all happened due to a man by the name of Daniel Tzvetkoff. With the UIEGA causing major issues for payment processors, Tzvetkoff was in charge of setting up processors for all of these rooms, focusing on US players. However Tzvetkoffs relationship with these companies went sour, with both Pokerstars and Full Tilt attempting to sue him. It’s believed they also notified the FBI about him…which ended up being their downfall, because Tzvetkoff rolled over to save himself, telling the FBI about everything that Full Tilt and Pokerstars did. And then Black Friday happened. Full Tilt Poker were operational again quickly, moving to FullTiltPoker.eu. They re-opened, however would not accept US players. They looked like they were even working things out with the DOJ, to ensure the long-term success of the site, and even got their .com domain back. Things were looking like “business as usual” at Full Tilt Poker. Unfortunately, that did not happen. Instead, on June 29th, 2011, Full Tilt Poker had their Alderney Gambling license revoked, and immediately closed up shop. While they could have possibly started using another license, a whole big mess followed. In short, the owners of Full Tilt Poker had ripped lots of people off, and Full Tilt were losing a lot of money, despite being the #2 most popular online poker room. They were also not able to process any incoming deposits for a lot of players, and any money that did come in was kept by the owners in something of a Ponzi scheme. There may be a light at the end of the tunnel for Full Tilt Poker however. Groupe Bernard Tapie have apparently purchased Full Tilt Poker. As of this time however there is no certainty that Full Tilt Poker will ever be back. If you’re owed Full Tilt money, I would not count on ever receiving it. We’ll merge these two companies into the one section, because they’re both as shady as each other. Absolute Poker and Ultimate Bet were both effectively owned by the same people, and really brought a bad name to the world of online poker. They continued to do that after Black Friday. Both poker rooms were right back up after Black Friday occurred. Worse, they made no attempt to work with the DOJ, and even worse – they still took US players! They’re still online to this day, although the amount of players has dropped to about 8. Rather than try and do the right thing, Absolute Poker and Ultimate Bet decided to lay off practically all of their employees, then declare bankruptcy. The one poker room that actually handled things well, was Pokerstars. Pokerstars re-opened shortly with a Pokerstars.eu domain, not accepting US players much like Full Tilt. Unlike Full Tilt Poker however, Pokerstars actually worked with the Department of Justice. They got their domain back on April 20th, and worked to make sure all of the US players were paid. It took just over 10 days for Pokerstars to get everything settled, start paying back US players, and go back to business as normal. That’s everything that happened for the rooms affected on Pokers Black Friday. There have been a lot of Poker Black Friday repercussions, and the ripple effect continues. We aim to document everything here that has happened since Black Friday to the gambling world. The majority of poker rooms that served US players(and even some that don’t) switched domains, so they would not get them seized. This would include Bodog.com moving to Bodog.eu, CakePoker.com to CakePoker.eu and CarbonPoker.com to CarbonPoker.ag. Victory Poker closed down following Black Friday. They were on the Cake Poker Network, but were planning a move to Cereus, which hosts Absolute Poker and Ultimate Bet, a few days prior to Black Friday. For additional details, see: History of Victory Poker. On May 23rd, 2011 there were more domain names seized by the US Department of Justice. The domains included: Bookmaker.com, TruePoker.com, Betmaker.com, Doylesroom.com, 2BetsDi.com and Beted.com. All of these rooms/sportsbooks etc all moved to non .com domains. All online casinos that used Vegas Technology Software first stopped accepting US players, then closed down. These online casinos include the likes of Millionaire Casino, VIP Slots Casino, English Harbour Casino and Go Casino. Doyles Room were notorious for being untrustworthy, with quite a few scams throughout the years. Doyle Brunson stopped associating himself with them. 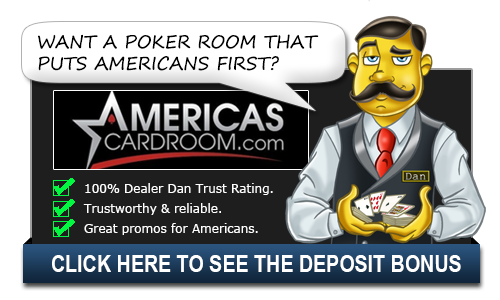 After their domain was seized, Doyles Room eventually shut down, and moved all their business to Americans Cardroom, located at americascardroom.eu. It is not recommended that you play there. You’d think that people would learn their lesson – but the idiots at Everleaf Gaming Network didn’t. They continued to accept US players, and even worse – processed payments within the US. They eventually got caught in February 2012, and had funds seized. They have since left the US market, and it is recommended that you avoid Everleaf Network Poker Rooms at all cost. Bodog were quick to move to a new domain following Black Friday, in Bodog.eu. However things were not finished there – Bodog ended up splitting things up. Bodog would continue to exist but as of January 1st, 2012, Bodog would no longer accept US players. Instead, Bodog opened up Bovada, which is basically “Bodog…for US Players”. Bodog have always seemed ahead of the game when it comes to things like this, however this did not stop Bodogs domain being seized by the Department of Justice on Monday, February 27th, 2012. What happened in Poker on Black Friday?